Kinda makes you dizzy if you stare at it. By Jove I think she's got it! 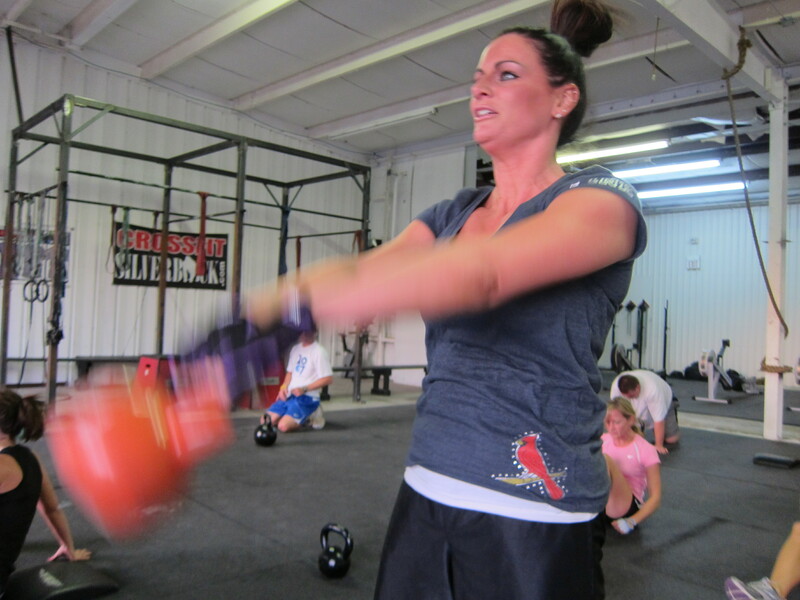 WELCOME TO THE SILVERBACK NATION JENNIFER! Sarah attempts to avoid the photographer by attempting to pull her head into her shoulders..
Hello, hello………..is anyone out there. Are there any survivors??? I’m probably going to have to do this Friday. Please someone let me know how it was!! You really don’t recognize those lyrics Casey? 8:30 Ladies class all survived!!! 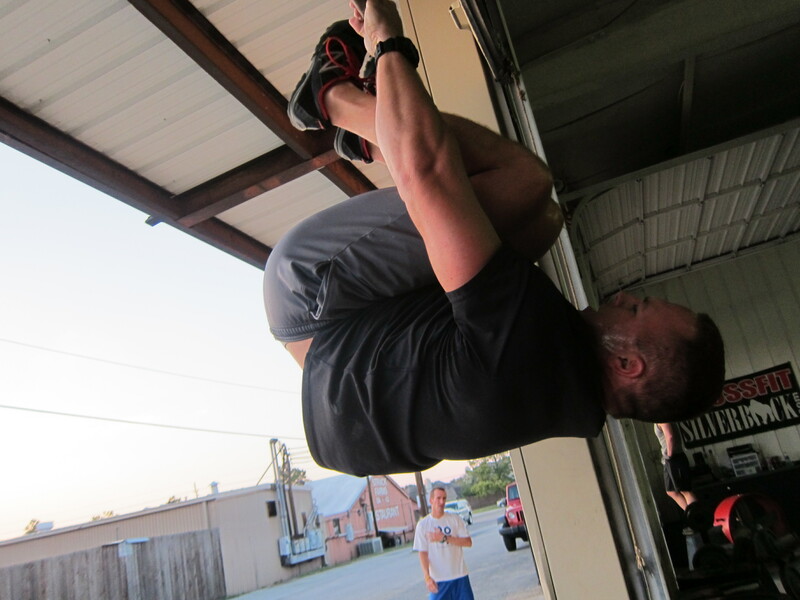 We were between 15:30 ish and 18:00, hard on the grip between kb swings and pull ups. 14:59 – 30# KB, pushups & situps. 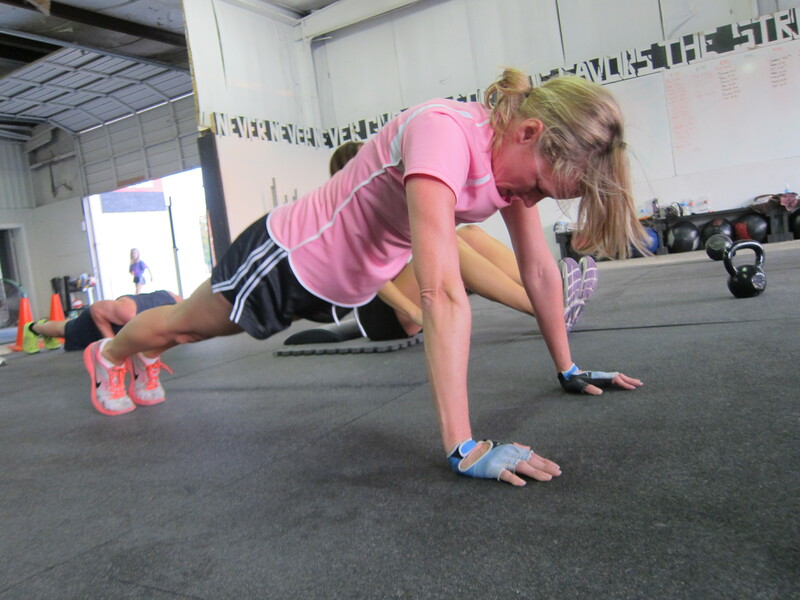 Did the cash out in 2:18, which was really tough after the WOD – had nothing left. It’s a good one Casey. As usual, it sucked doing it solo but you gotta get it when you can get it. SWOD: all sets with Val’s weighted vest. Not sure of the poundage. Thoughts: 1. 70# KB is heavy and I need to use it more or it’s going to continue to eat me up like this morning. 2. Towards the end I had to do the T2B two at a time. Hands were smoked. See y’all in the morning. Okay, I Googled it……they are Pink Floyd lyrics……..I don’t think that the average person would know that!! Just any red blooded American that graduated high school slightly before 1980. Or maybe had older siblings who drove them nuts with the Pink Floyd double album of “The Wall”. Not that I don’t appreciate the tunes now Jim, it is just that I was 8 at the time and well…I was more into to stuff like Mork & Mindy or The Dukes of Hazzard. Thanks Boss Hogg……….I think you’re agreeing with me. 8 years old!! Man, I have socks older than you. Did this one at the office today. Only had a 53# kb, so I added double-unders for some stupid reason. 16:49. As my Dad used to say, felt like I was moving as slow as molasses in January.